Gearlog has just received a unit of the new Creative Vado HD and while a detailed write-up is up-coming, they did have some pics and thoughts to share on the new Vado. The Vado HD is now shipping in the US for USD$199.99, a special price for a limited time. 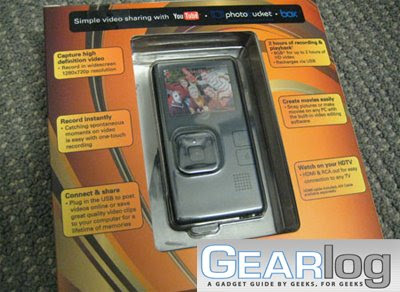 For this price, it is practically the most value for money pocket video camera in the market! Order yours today!